There’s no need to travel around Asia to find the best waterpark, Waterbom Bali is the final answer. 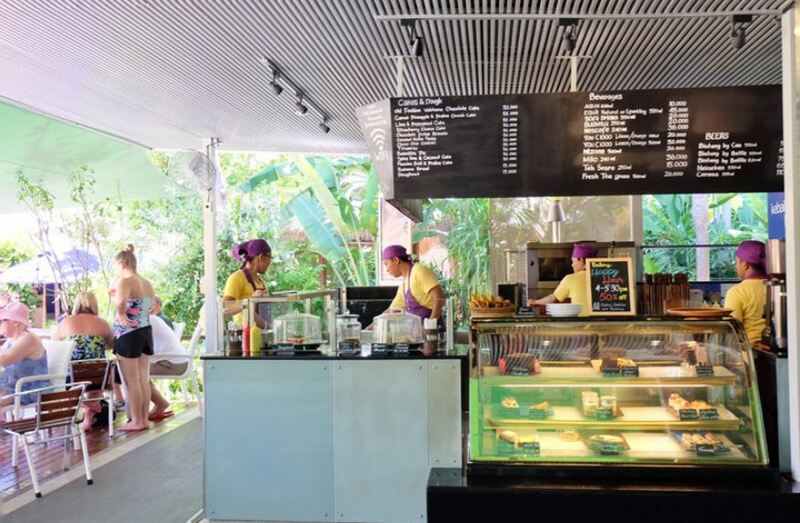 As we know that you can find tons of enticing things in every part of the exotic Bali. Start from the tropical beaches, sacred temples, sparkle nightclubs, fancy restaurant, and more. 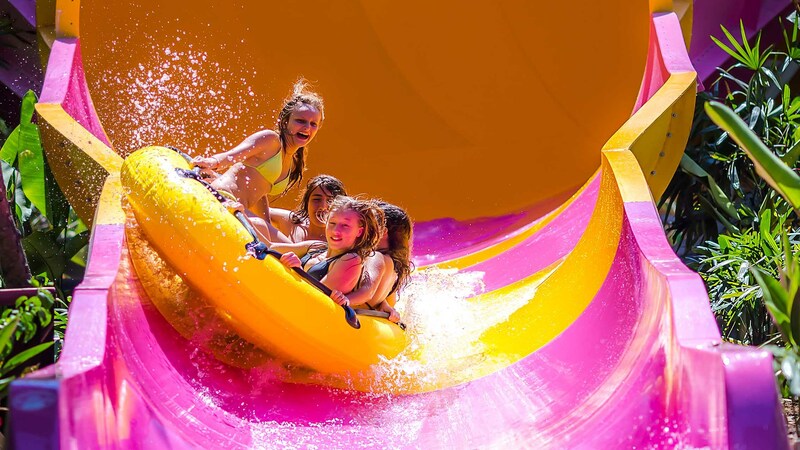 If you take your whole family or friends to have an unforgettable holiday on the island, there you should not skip Waterbom Bali from your must-visit list. Just keep reading to figure out the reasons why must go to Waterbom Bali, and why you should get the ticket from Wandernesia! 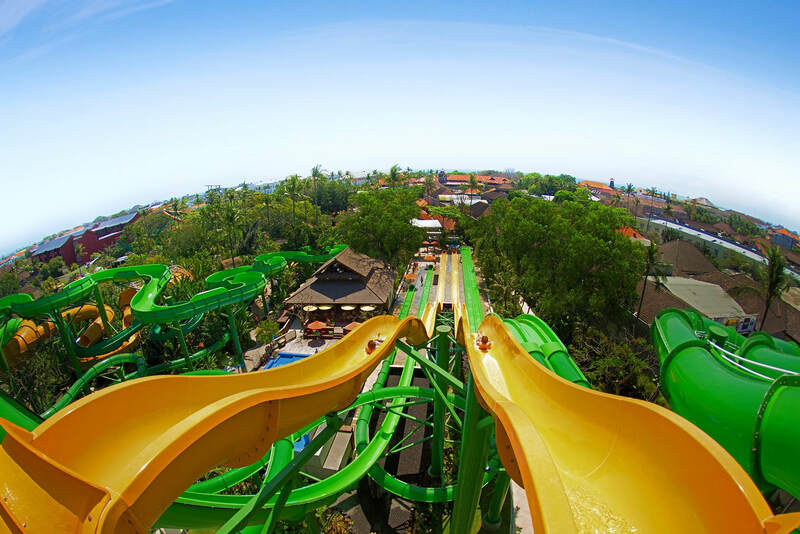 Before you find out more about the exciting things inside the waterpark, you should know first about Waterbom Bali. Located in the most happening area in South Bali, the waterpark has managed to attract million visitors for every year. 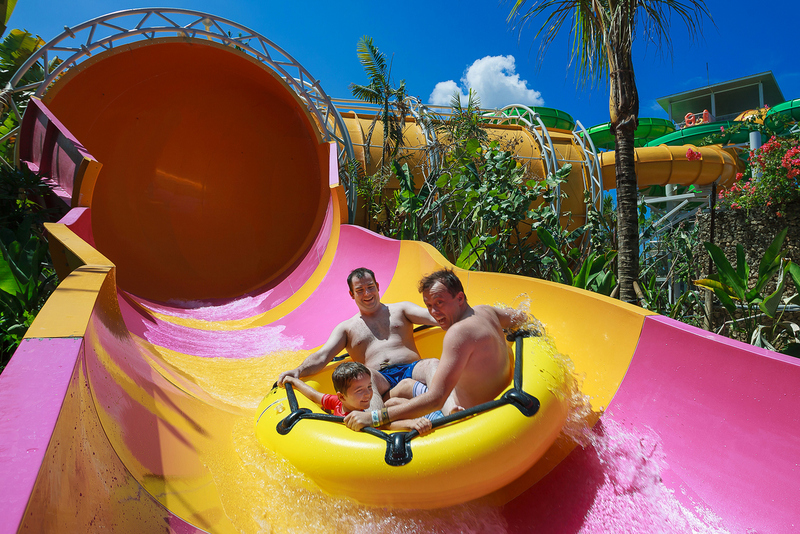 According to Waterbom Bali review, numerous awards have been given to the waterpark. For the newest one is The Best Water Parks in ASIA TripAdvisor’s Traveler’s Choice 2018. Waterbom Bali firstly opened in 1993. Although the waterpark is not a new place in the island, tons of travelers have fallen in love and would love to return again and again to Waterbom Bali. The extensive width of the park reaches 3.8 hectares and it has become a home for plenty of slides. 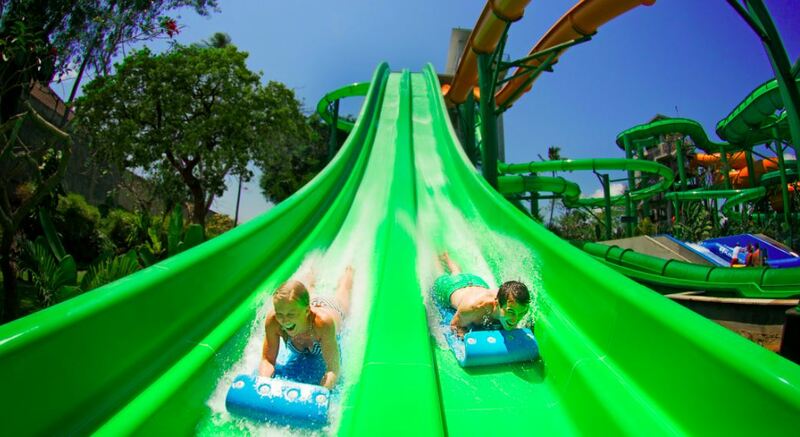 Since you can enjoy the various slides inside, it makes the Waterpark Bali perfect for every age and every need. 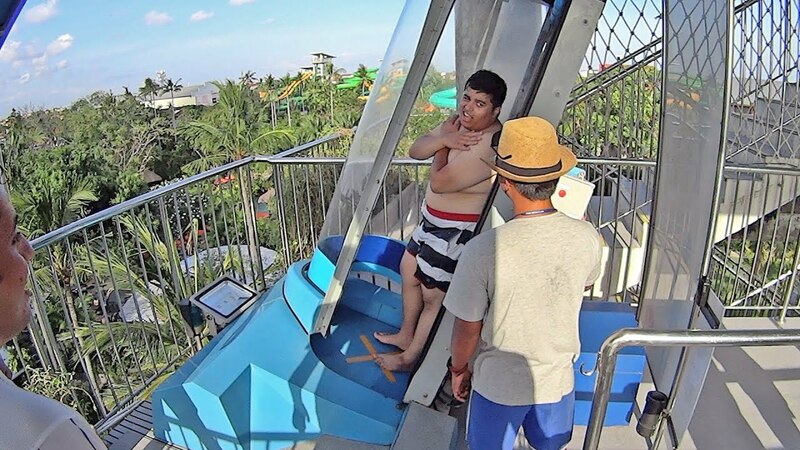 Whether you are an adrenaline junkie or simply want to enjoy the leisure activity, Waterbom Bali rides will take you to the most satisfaction. Grab the Ticket on Wandernesia & Get the Extra Advantages! It is true that you can book the Waterbom Bali tickets from everywhere. But one thing for sure, do they offer the extra advantages within the ticket? The guess is no! Wandernesia is the reliable tour platform that you can trust. Only the best place/activity/tour that will be offered in Wandernesia. So, it will be a guarantee for you to have the best experience of holiday ever. Moreover, you will not be charged with the hidden cost because the price you see is the price you pay. If you still in doubt, just keep your worry away. Wandernesia is not like any other tour platform. You are free to have online consultation through WhatsApp, Messenger, and E-mail with our tour experts. After you have the online consultation, you will get the best recommendation for sure! 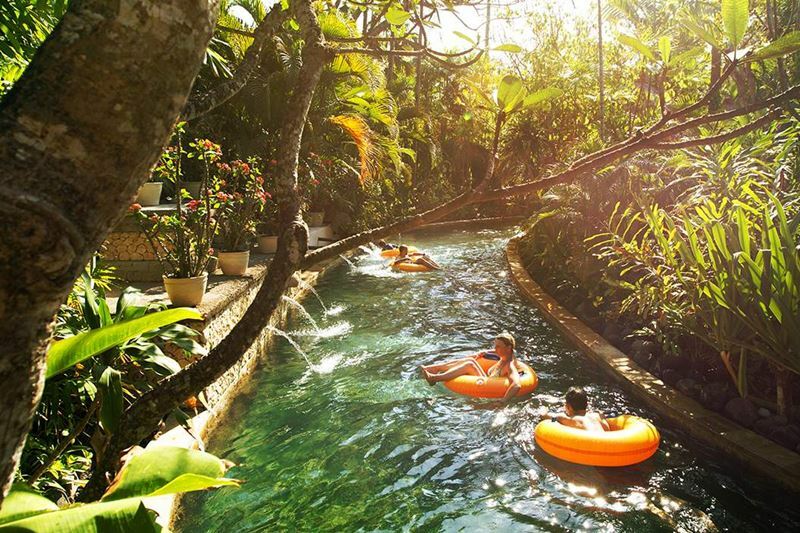 Take the bright yellow tube and start the drift along the lazy river. 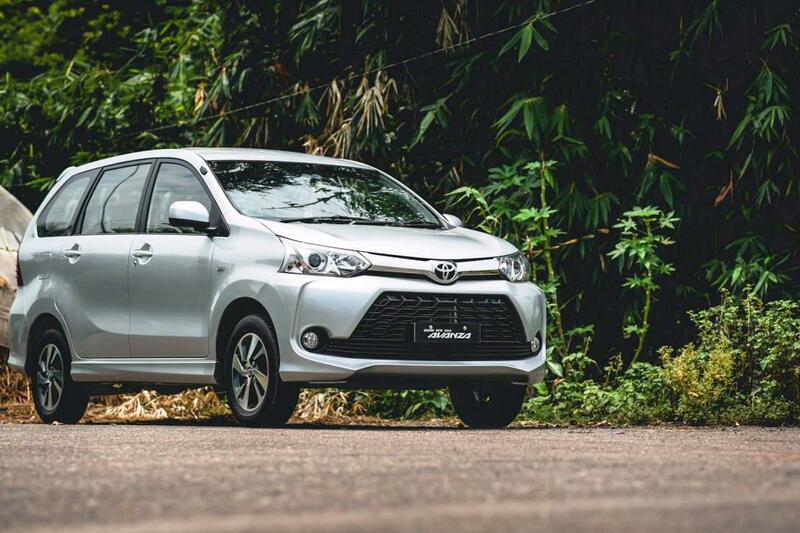 Admire the tropical green trees alongside the river, and let the wind turns you to sleepy. This pool is perfect for you who desires leisure activity before/after the extreme one. 2. 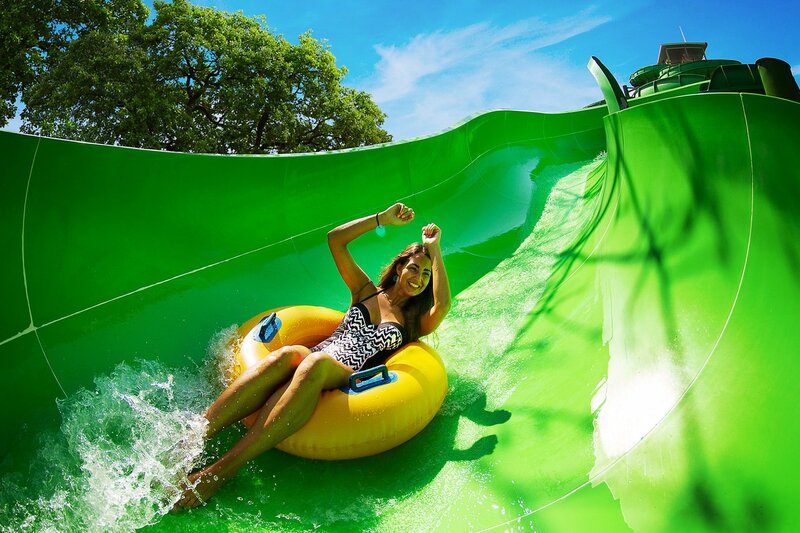 Dare Yourself at the Thrilling Slides! Prepare to slide in dizzying speed only in Superbowl! The rainbow translucent tube and the giant cauldron will surely make you spinning around like a roulette ball! Challenge yourself and your friend at Twin Racers! Before you launch, you will get the mat ride with the unique head. 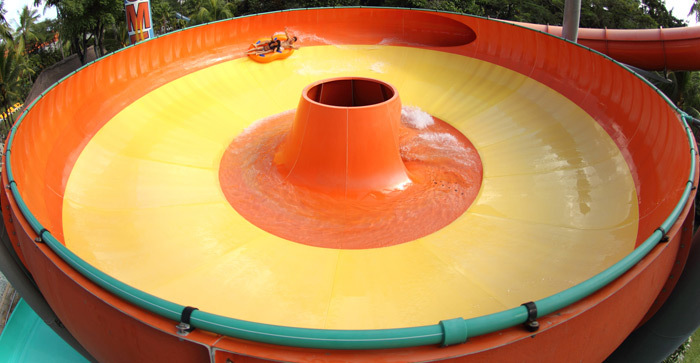 Then you will enter the spiral tube with the big drop as your final slide before splashdown. Have you ever wonder to try the slide that almost vertically down? That’s not the only thing that scares you up. Before the thrill begins, you will step on a trapdoor first. Listen to your heartbeat racing when the countdown is ticking! Having fun without something to relieve you craving is never feel complete. After you shout your loudest scream in the horror slides, you must be wasting your energy so much. That’s why you need to recharge back the energy. There are numerous choices of restaurants and bar inside the waterpark. Enjoy the international and local food, sip a cocktail, or simply lick the ice cream on a hot sunny day!